I had this book for months. But never had opportunity to try it... until now. 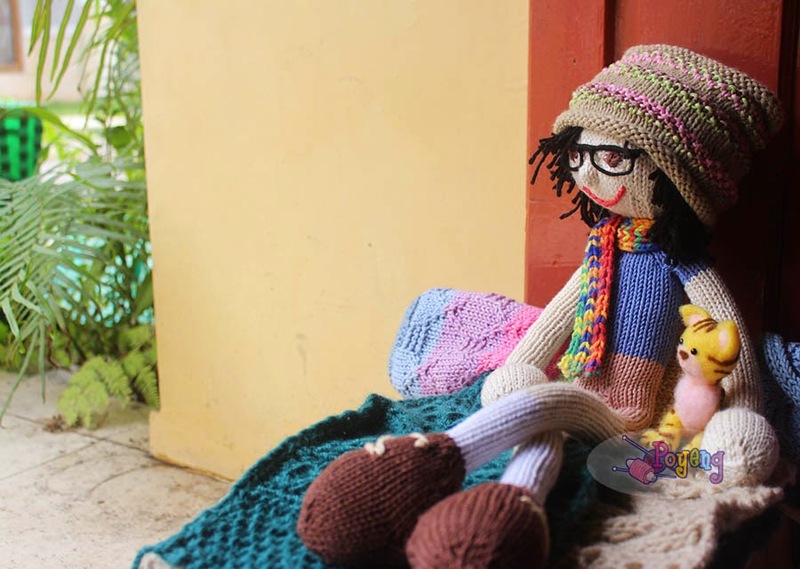 And here it is, a doll I made for one who i consider as a close friend. 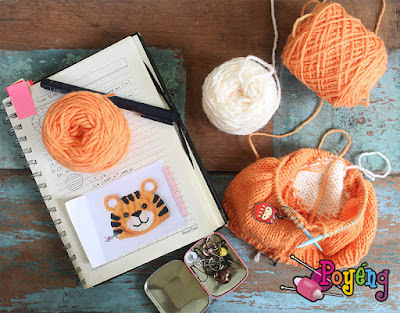 This doll made from SP Poyeng yarn in 4mm knitting needle. Has 53cm height. 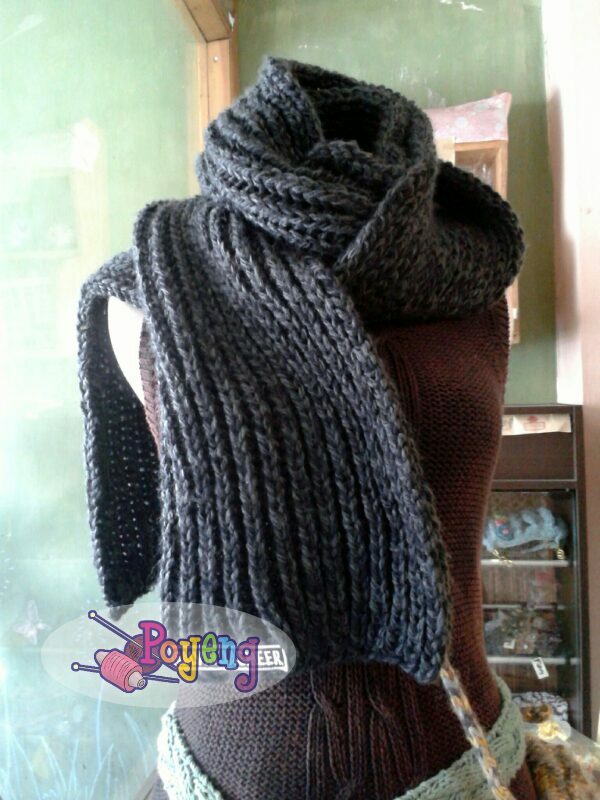 The hat and hair made from SA Poyeng yarn, also in 4mm knitting needle. 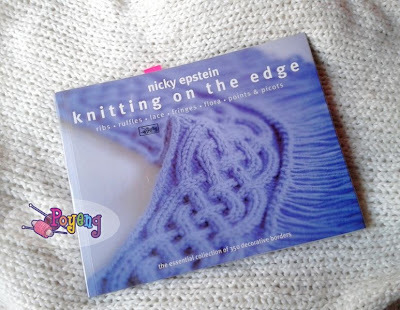 Pattern all followed from this book. 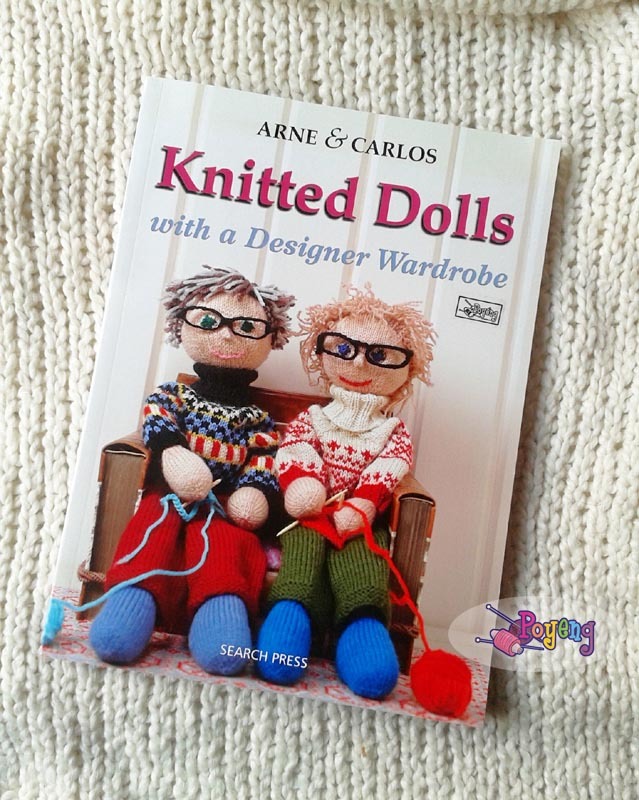 Knitted Dolls, by Arne and Carlos. This book is good! 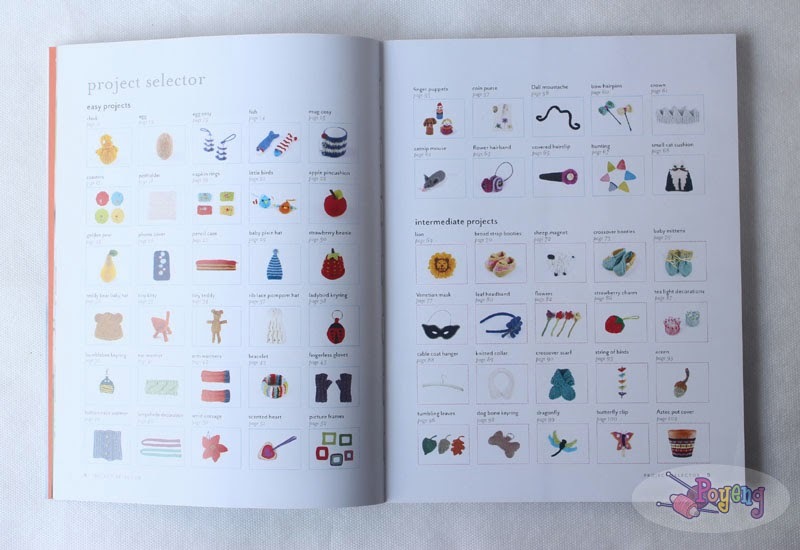 It tells you how to knit a particular shape of a human doll, and give you many clothes design for the doll. The explanations are clear and easy to follow. 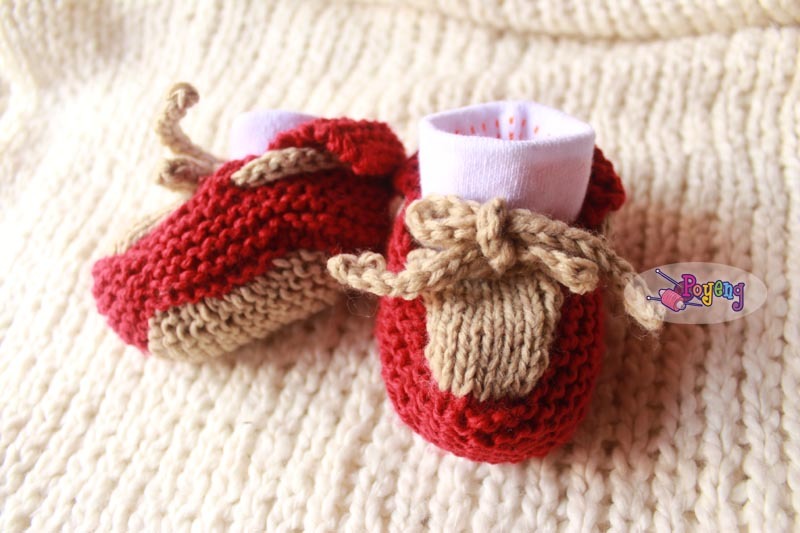 The doll give to you all in written pattern. 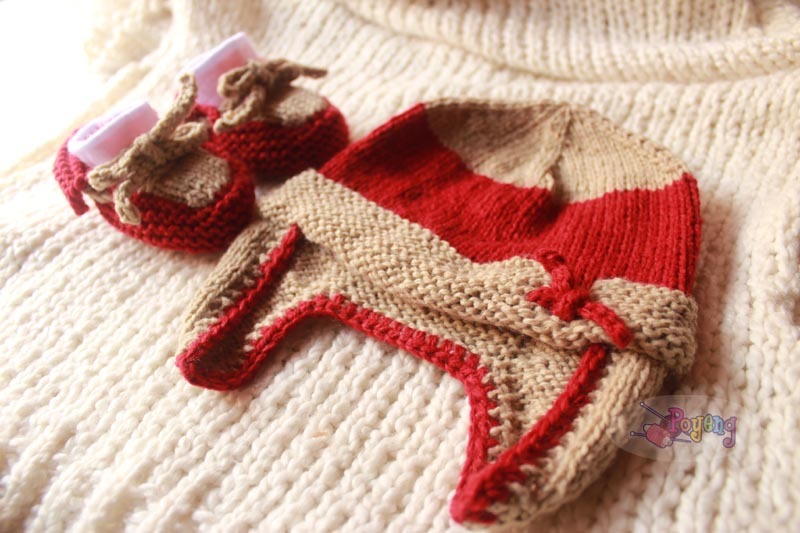 But the clothes pattern, provided with chart too. 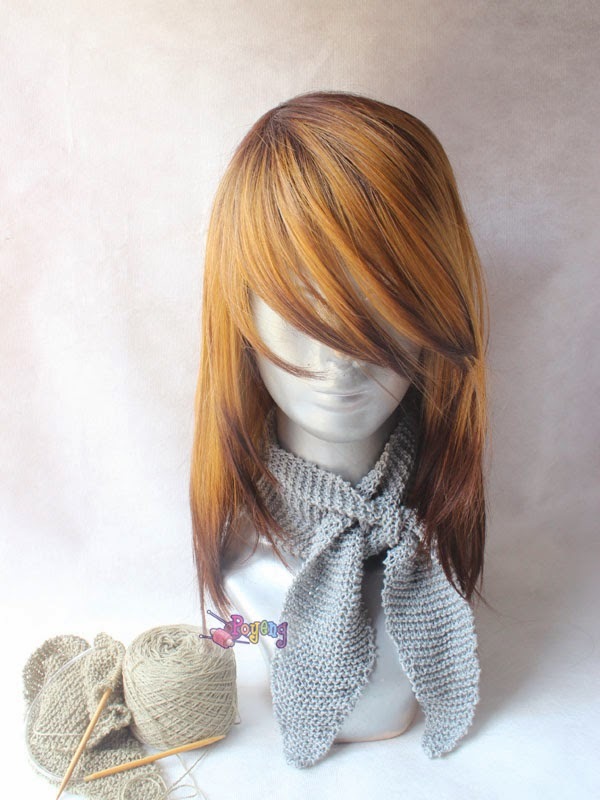 You can choose the skin color, under clothes, eye color, hair color, and hair cut, by yourself. And doing that is very fun!! So, for me, this book is recommended to be added to your bookshelf at home. 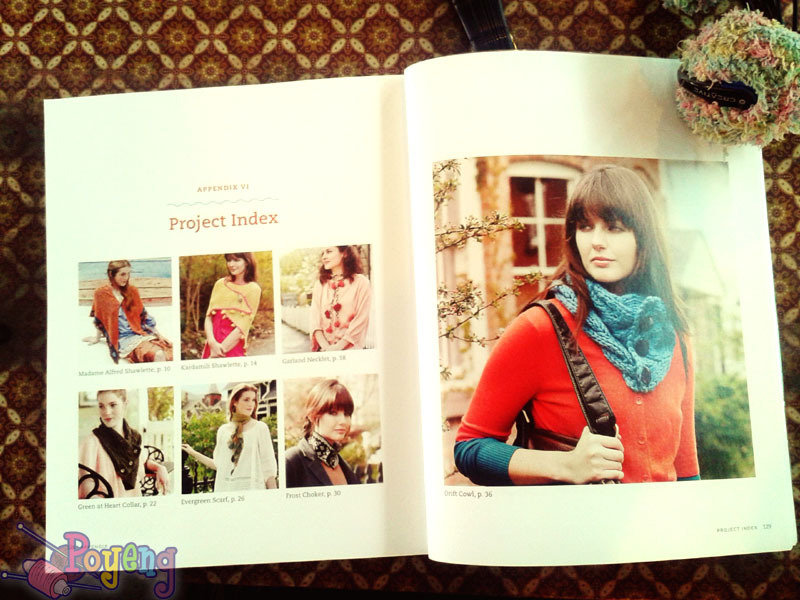 I first interested in this book, because at that time I browsed at online book store, I want to make something unusual. And you can see, just from the cover, you will may make deer antlers and deer ears! And (as always) after i peeking some of the inside pages by browsing at Google image, I decided to buy this book. 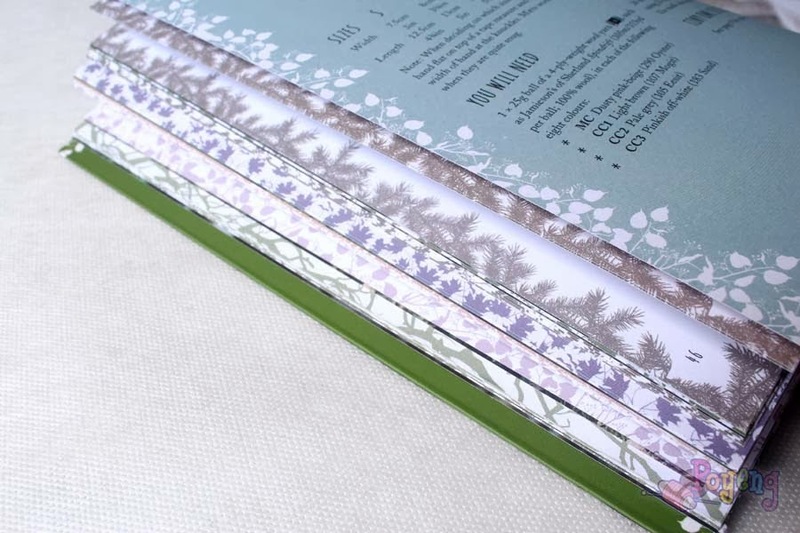 see how beautiful the pages... like open your own diary! 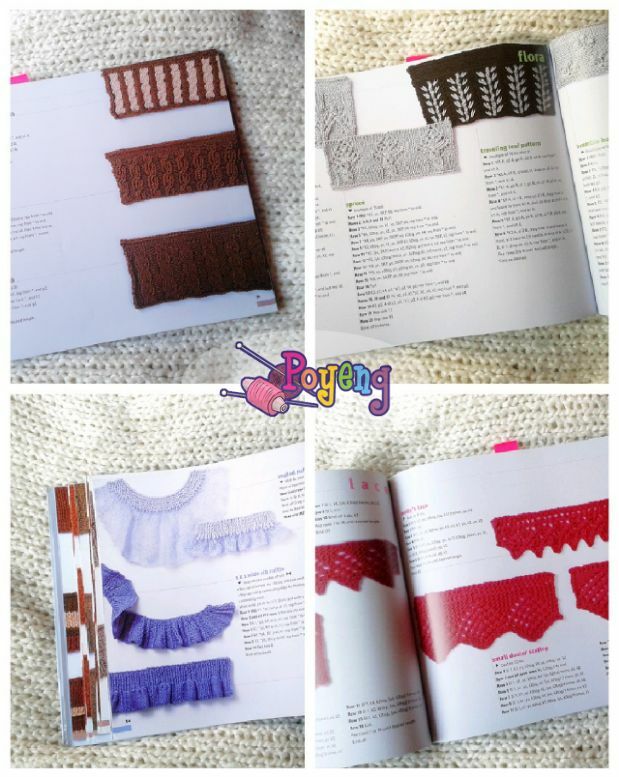 Maybe I will not knit some of the designs in this book, since I live in tropical country (which make me do not need any thick and warm sweater), but I will like to try some of these unique designs. I found that her explanation very easy to follow and very clear. I already tried Mr. Fox Stole My Heart knitting pattern, and want to make again! 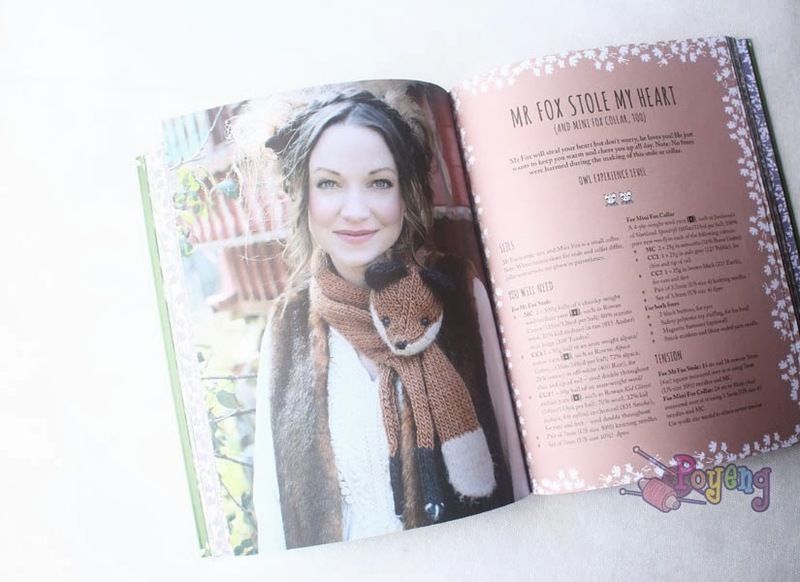 my version of "Mr.Fox stole my heart"
Recently i had to made a mini workshop for new knitter in several occasions. 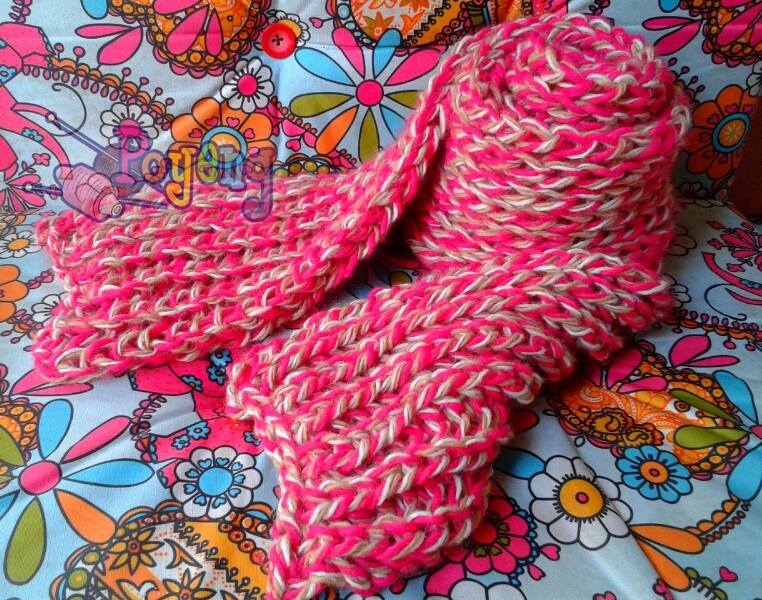 Thinking to knitting something that can be finished in about 2 hour was very difficult. In fact, i'm still thinking about it until this moment. I accidentally own this book. But after i have it at my bookshelf, it turn out to be one book that i usually open for inspiration! 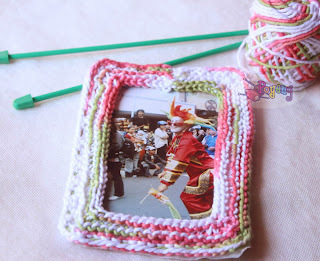 photo frame, inspired from this book. 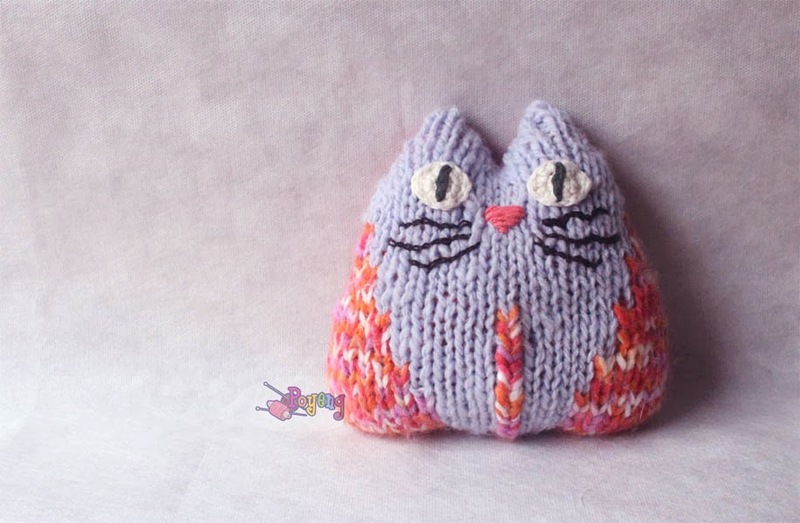 Second, when i (for myself) seeking something that i can knit fast for last-minute gift. The projects are sweets and truly can be knitted in 30 minutes... for me of course, or if you already know about knitting basic before. 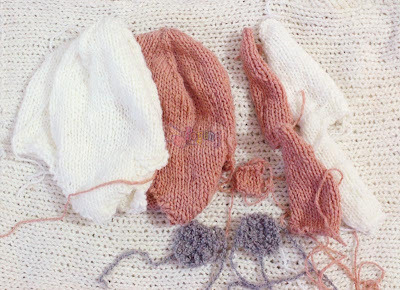 But if you are a new knitter who never touch knitting before, you will not finish any of these patterns before 3 hour, even the simplest pattern. It simply because you had to taught them about basic knitting first and made them understand and memorize it before they can started knit from a knitting pattern. And of course, it can't be done in half of an hour. 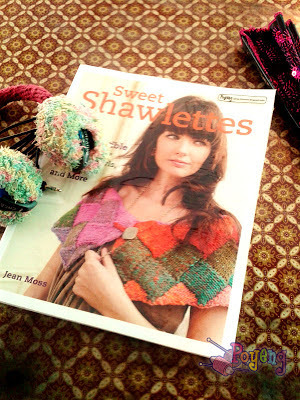 pile of knitting bunting, basic pattern from this book too. I already got interested in this book when i first saw the book cover. I already try three of the patterns, and happy with the result.. Plan to try some more! 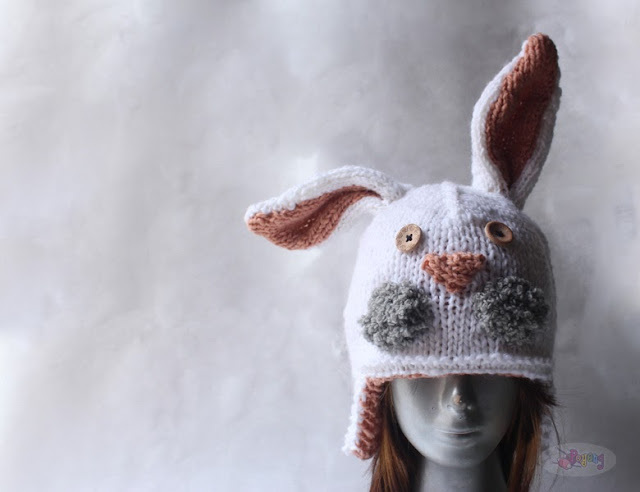 Animal Hats by Vanessa Mooncie. This book had a cover book that will make you want it right away. 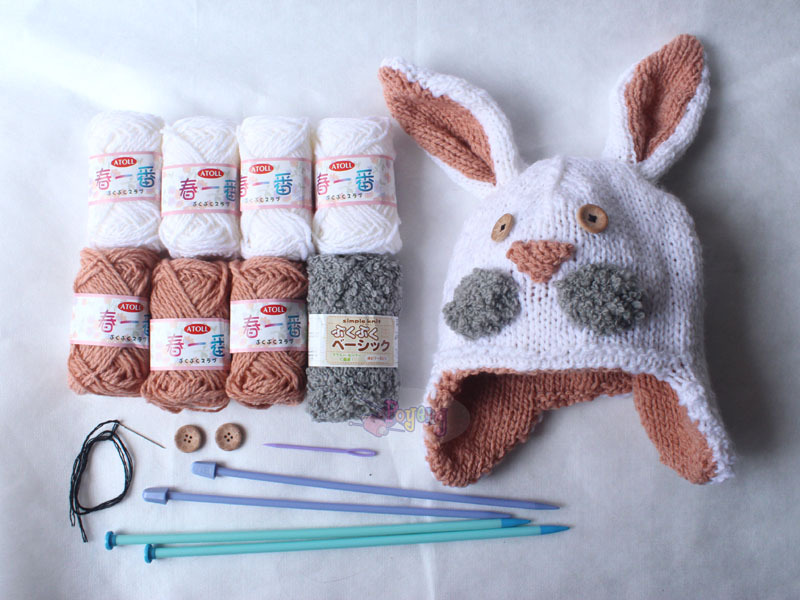 A teenage girl wearing bunny hat. 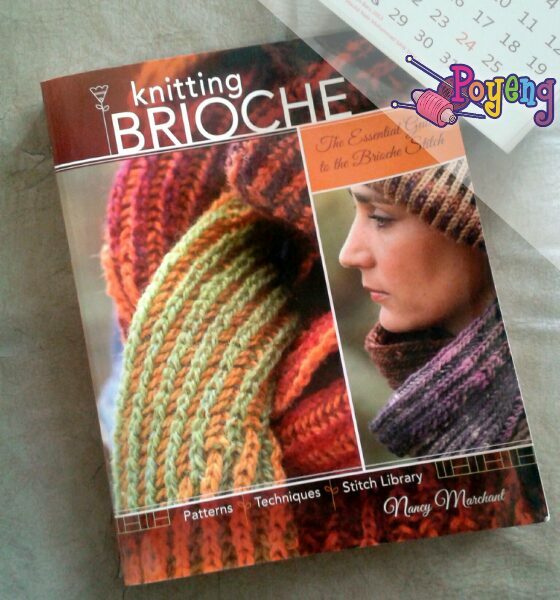 And that was also the first pattern i choose to try when this book arrived at my hand. 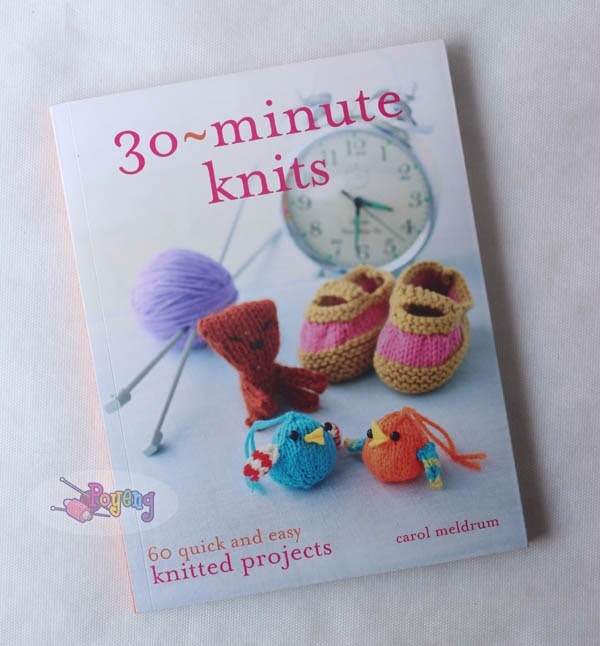 This book use big size needle, that make you will extremely fast finished your knitting! 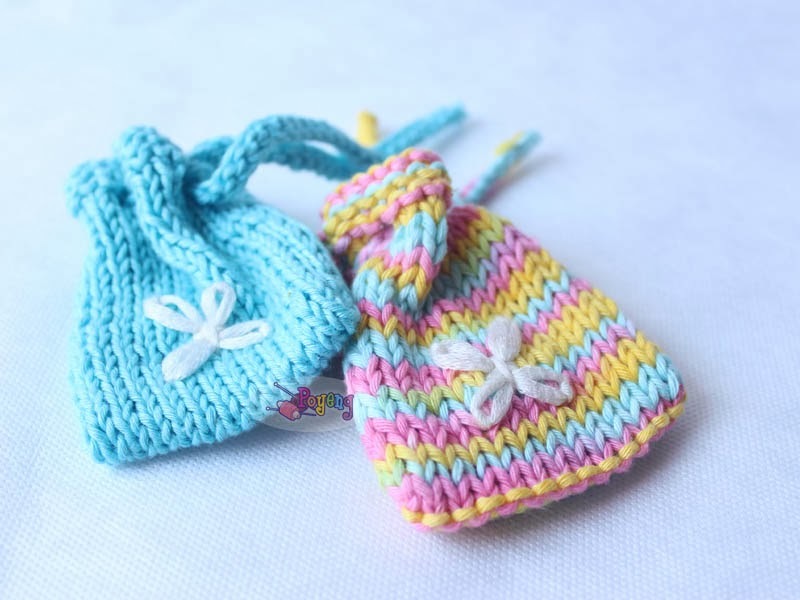 She too only used a little variation of decrease technique, and work the hat with Single Pointed Needle (and seam it later), so even a beginner's knitter can make these cute hats! The things that will show the difference of your hat with others who try the same pattern with you is how neat you seam, and place all the small pieces (like checks, nose, ears, and eyes) to your hat. 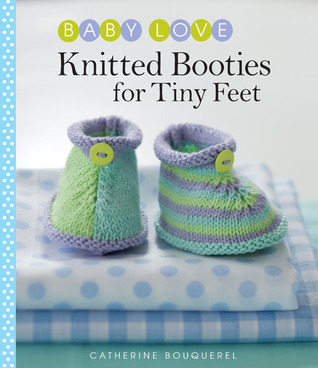 I always had problem finding a knitting pattern for baby booties..
Never found a book that only talk about this which fit what i want. Accidentally (like always) i found this book when i surfing at my favorite online bookstore. And after (as usual) i googling to 'peek' the pages inside.. i then decided to add this book to my little bookshelf at home. There are 20 knitted baby booties (and slipper) inside. With beautiful colored photographs which can give you some inspiration on color matching, even if you find no mood to actually knit one of the patterns at the moments. 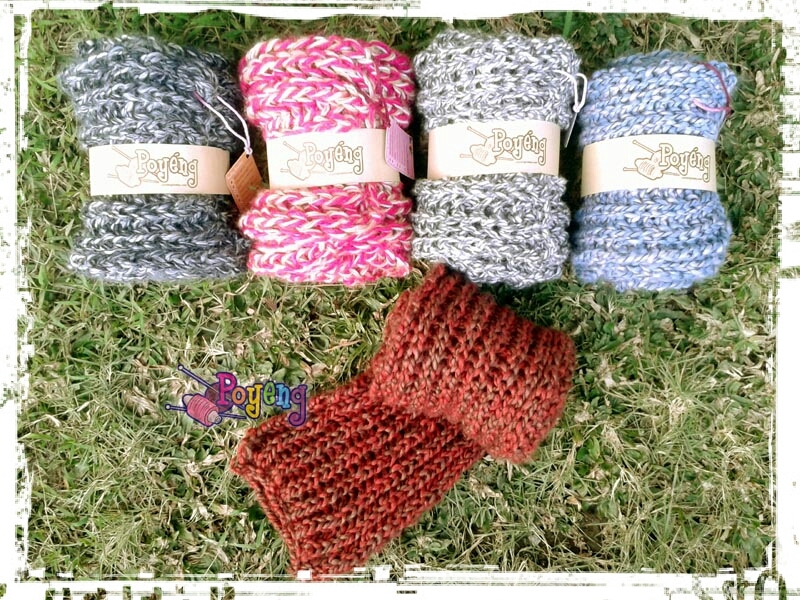 I already try one of the pattern.. What do you think? 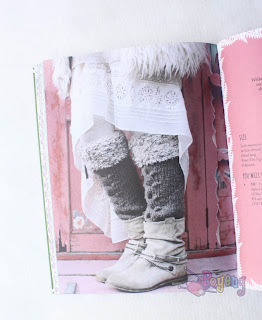 I do not have any knitting stitch patterns guide's book. I only have this book, Knitting on the Edge by Nicky Epstein. It already help me many times! I always open this whenever i need some inspiration about any knitting pattern when i want make something new without already existing pattern and want to challenge my imagination. It's written pattern, with instruction to knit in back and forth. 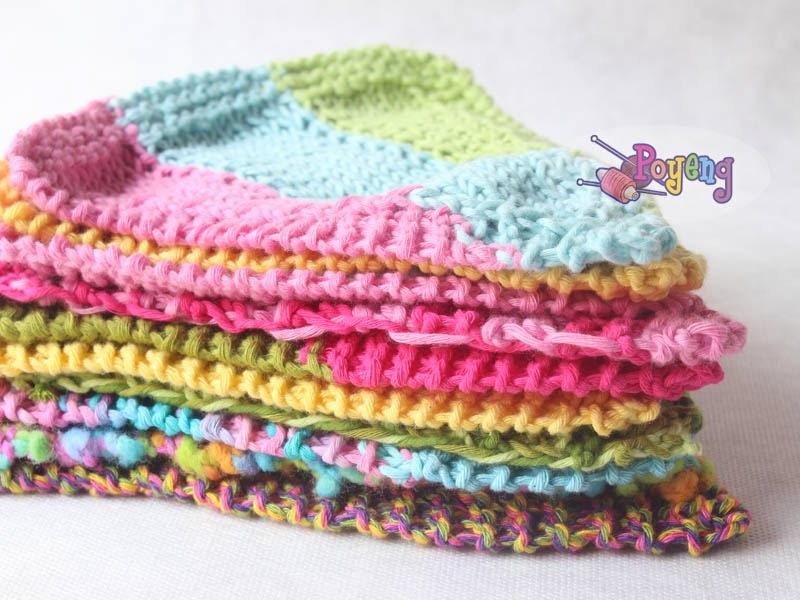 Every pattern tell you how many stitch you have to cast on to make one repetition of the pattern. 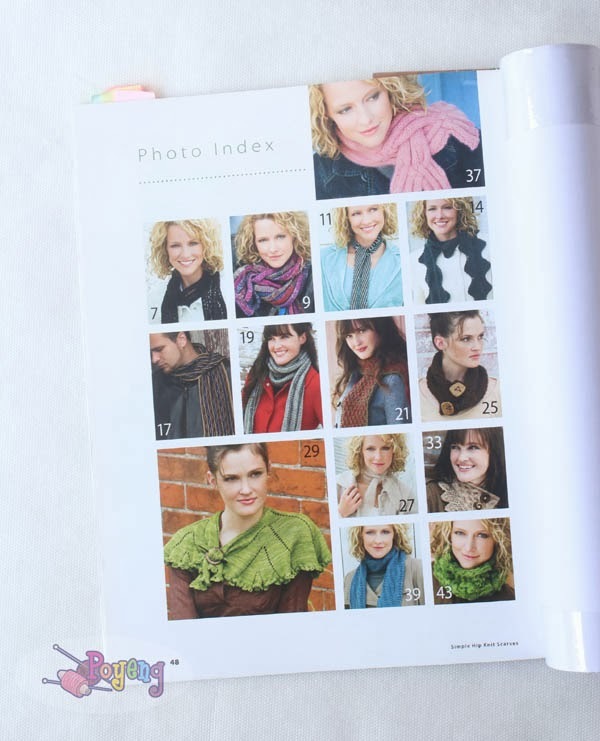 The pictures of knitting pattern's finished sample so beautifully arranged. Beside, for the book this thick, it come in very affordable price (especially the paperback issue)! Adding the opportunity to everyone can have one copy to their library. 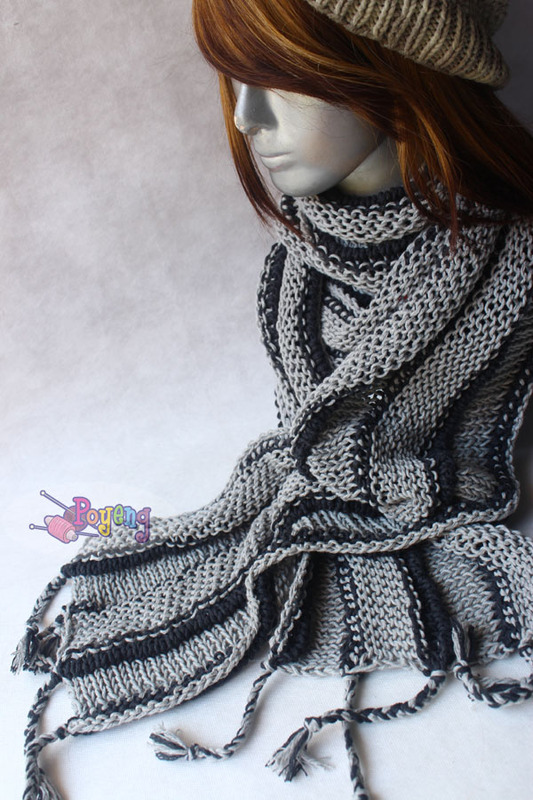 This is the most favorite knitting pattern, both for beginner knitter and to people who like to have a knitting scarf, fast!! This technique will give you ribbing illusion, but not make your knitting looks shrinking. 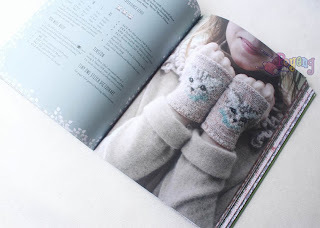 Back then, I never really think that I will buy a physical knitting book. 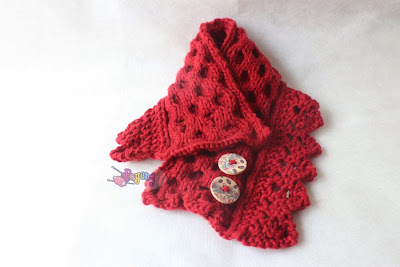 On my head, there are so many knitting patterns that shared for free and can be treasured till you bored knitting (which I will never bored of course). Publisher : Taunton Press Inc. 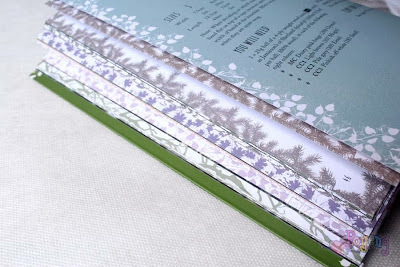 Without peek inside, I already fall in love with the book cover!! And suddenly wanted to find more about this book. Because of course, never judge something only by the cover. So i search for some review about this book, peeking some of the inside pages, and satisfied enough for (at last) buy my first real physical knitting book : Sweet Shawlette by Jean Moss. 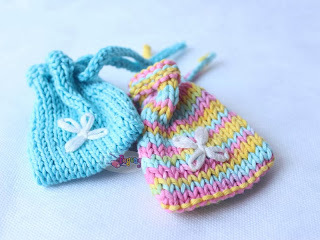 I'm not a kind of knitter who love knitting with tiny yarn and tiny needle. 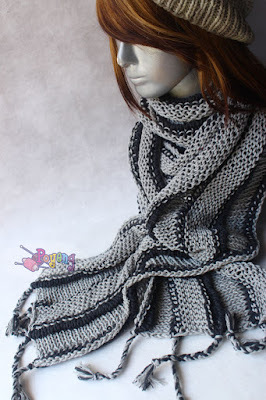 But of course like every knitter, I love and also want to knit some shawl too. This book provide just perfect for knitter like me. No small lace. Very beautiful color play. Creative combination and placing of shape. Not always it had to be complicated, but also simple and yet still beautiful. The book easy to understand, and I like how every pattern had a story behind it. And what great is you will intrigued to try to knit every pattern of this book! Like Gollum (one character at Lord of the Rings) says it's : Myyyy Precioussss.